Bon Chef Stainless Steel Double Wall Bowl, 8 x 3.6 inch -- 1 each. 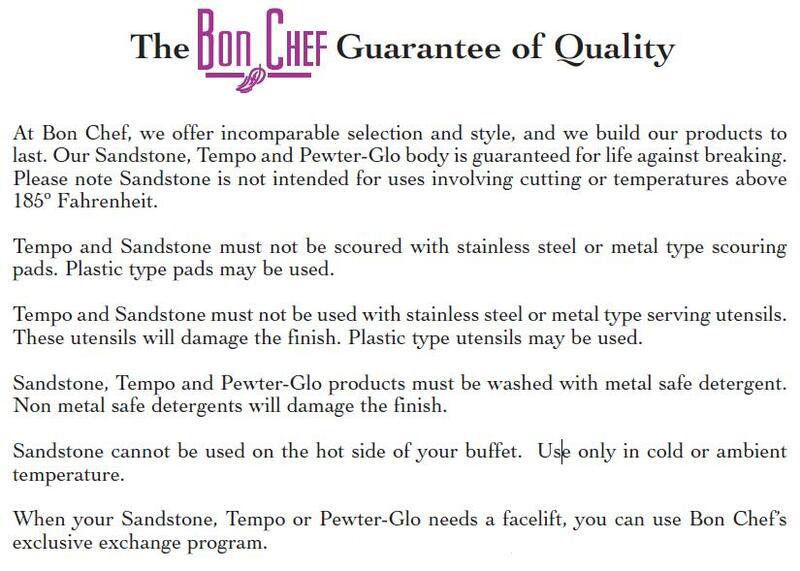 Bon Chef offers a huge inventory of patterns to choose from, we guarantee you will find exactly what you are actually looking for at bonchef.com. Stainless steel chafing dishes are easy to clean and are strong too. All our stainless steel chafing dishes and stainless steel flatware is manufactured using the best quality steel, to ensure a rust free and long lasting shine. We offer our customers only the top quality products. Browse through our online stainless steel collection.